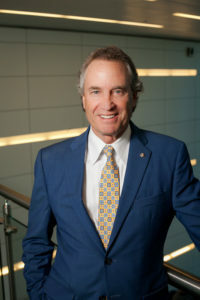 Santa Clarita, CA – Michael Berger is seeking re-election to the College of the Canyons Board of Trustees in the November general election, the incumbent board member announced Monday. “We’ve accomplished a great deal in growing the college and its programs to meet the community’s growing needs, and I’m energized about meeting the continuing challenges that remain ahead as we continue to ensure that COC provides excellent and affordable education,” said Berger, who’s seeking re-election to represent Area 1 of the Santa Clarita Community College District in the Nov. 6 general election. He is scheduled to officially kick off his re-election bid with a campaign kickoff event 5:30 p.m. Thursday at The Dudes’ Brewing Company on Town Center Drive in Valencia. More information is available at Berger4COC.com. Berger has more than 25 years of experience serving the college as a volunteer and board member. First elected to the board in 2009, the former Santa Clarita city planning commissioner brings three decades of financial management experience to the board. Professionally, Berger works as a family wealth manager with Morgan Stanley. He has volunteered and served on the boards of numerous local business and nonprofit organizations, including the Santa Clarita Valley Chamber of Commerce, SCV Rotary Club, the Child and Family Center, the COC Foundation and the Michael Hoefflin Foundation for Children’s Cancer. He was the Santa Clarita Valley man of the year in 2006.